Welcome back to my blog. 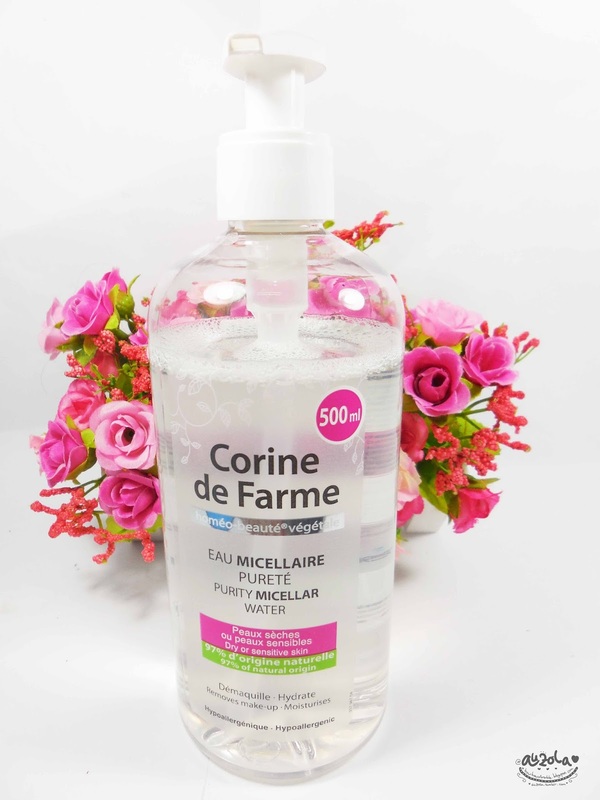 If yesterday i talk about micellar water cleanser from Bioderma, today i'm going to review micellar water cleanser from Corine de Farme! It's kinda a new product here in Indonesia and i'm quite excited to try this! Well, is it yay or nah? Check my review below! First let's check out the packaging. The packaging is quite simple with transparent bottle but still looks pretty. I think Corine de Farme only sell one size of this baby because i didn't see other size, at least in Indonesia. What i love about it, the pump! 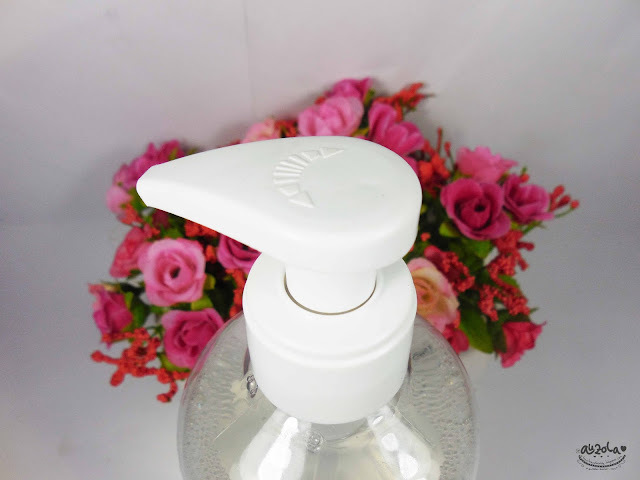 You can lock the pump, so when you bring it for traveling or something, this cleanser is gonna stay safe. My hands contains: eyeshadow, lipstick, foundation, liquid eyeliner, pencil eyeliner and mascara. So with one swipe you can actually see the result. It's fast at cleaning your skin from makeup. Plus it works quite nicely as well for waterproof mascara. But still, sometimes you need to use the oil cleanser first to get rid of those waterproof mascara. 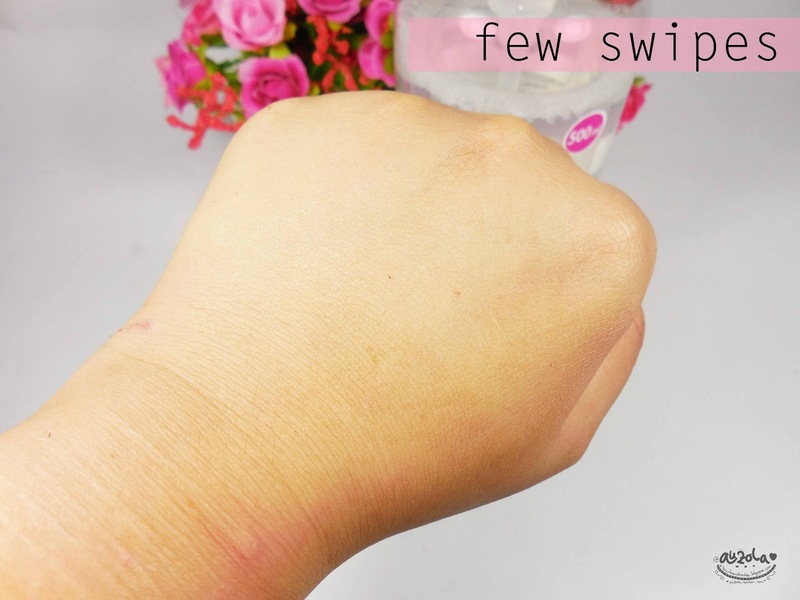 Then, after a few swipes my hand is totally clean! 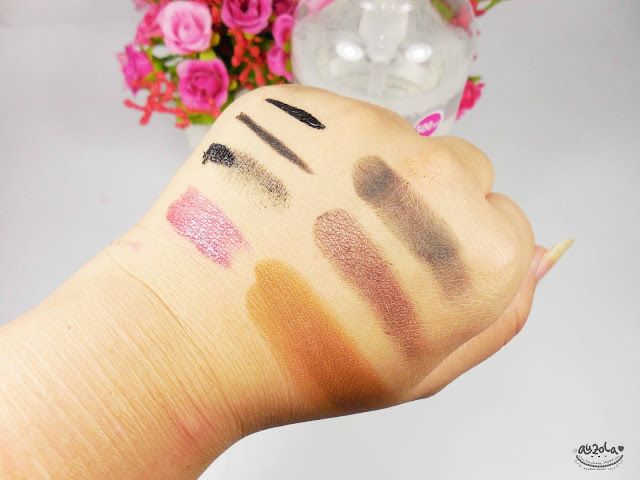 Normally i would need about 3-4 cotton to clean the thick foundation and only a few for lighter makeup. It works nicely on me so far. For it's price i should say this is really great and i love it! 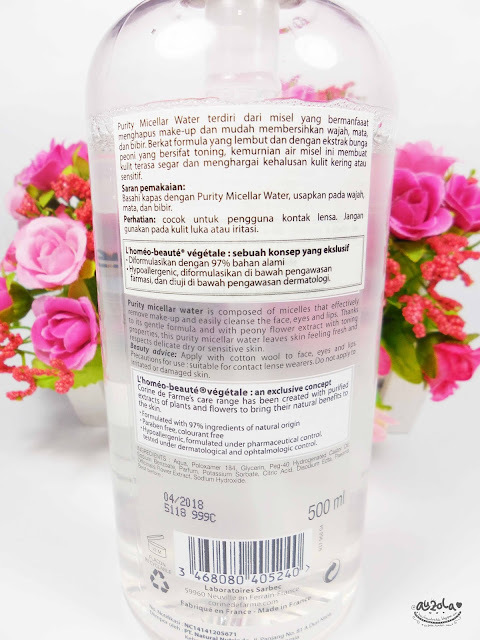 Well, the only things that bug me is this Corine de Farme Purity Micellar Water is kinda hurt my eyes when it accidentally got it my eyes, although it stated suitable for contact lens wearer. Not irritated the eyes though, but sure kinda sting my eyes. I don't like the sting feeling. So i need to be careful when using it around my eyes. But because it cleansed quite well i still like this micellar water though, i just need to be careful. The other things i love about this micellar water is the pump. It making it easier to use and i can lock the pump! It has this soothing feeling and it smell nice. Like i mention before, Corine de Farme Micellar Water is using perfume. But don't worry, as it stated, this micella water is still good for sensitive skin. Plus it also hydrate the skin and hypoallergenic as well! Plus the price is quite cheap compared to the other brand. So this Corine de Farme Purity Micellar Water is still a must have hahaha. I would give it 4.5 or even 5 if only it doesn't sting my eyes hahaha. 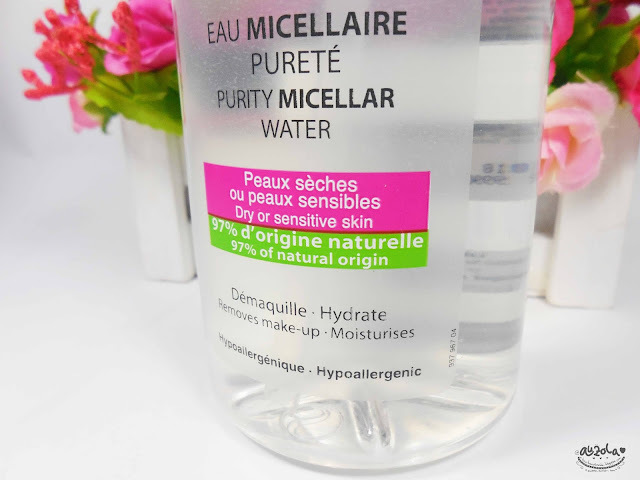 Other than that, this Corine de Farme Purity Micellar Water is really worth buying and i recommended it! It's quite cheap and good! 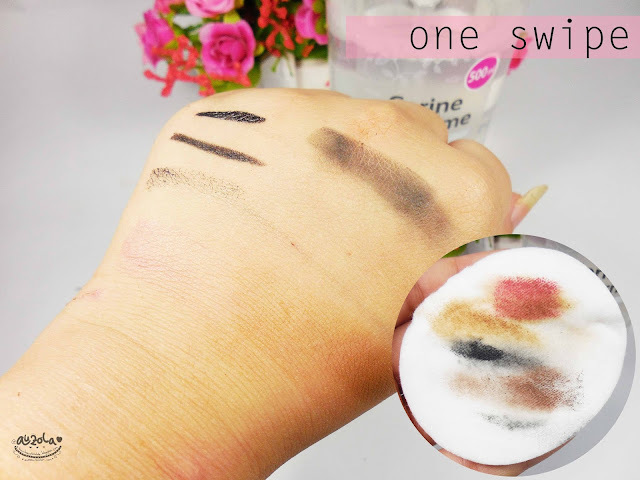 If you want to try it you can find it on Watson drugstore here in Indonesia. I don't know about Guardian cause the last time i didn't see they sell it. Anyway the also have discount on watson, you can get this for only like 150k! I hope they still on sale, you gotta check it out! That's all for now, i hope you'll find this review useful, see you!